mwe3: Can you tell us where you live and where youre from originally in Finland? What cities and towns in Finland and Sweden do you like best and what are some of your other favorite countries to visit? Erkki Sutela: Yeah, Helsinki is the hometown, but I like also Turku, Tampere, Oulu, Porvoo, Raasepori and Hämeenlinna. Stockholm is a great city and so is New Orleans, where I was two weeks back in the early 1990s. I played with the local musicians there and had a great time. San Francisco is also nice. Ive been traveling around Europe, but cant say any favorites from those cities. I just like being there and where I am at that moment. mwe3: I was just remembering the early Sounds hits from 1963 so here we are 54 years later with The Sounds + Rock Jerry CD. 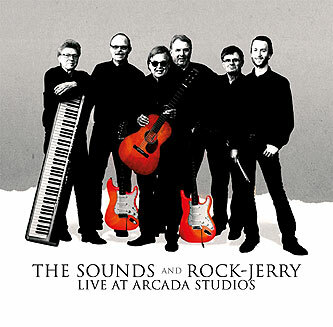 Does Live At Arcada Studios have the same sound, feel and style as the original Sounds band, from the early 1960s? On the new CD, were The Sounds trying to bring the classic oldies and instrumental guitar sound of the early 1960s into the 21st century? Peter Ekman: We do try to achieve the sound that we had after upgrading our instruments and amplifiers in the 1960s. The first recordings were made with more or less homemade amplifiers so we do not try to get that sound. We worked hard to find the Hank Marvin sound and succeeded in the end. The feeling is perhaps the most essential part of it all. Erkki Sutela: I was born in 1960, so unfortunately I couldnt be there, when all of this started. When I joined the group 2014, it was obvious that the sound should be as close as it used to be back in the day and with Henkka Granö. Of course, the amps are better now, but theres something magical in those early days and recordings. Im trying to do my very best to play the style The Sounds played, but I can make it my own style. Because Rock Jerry has his roots deep in the early R&B, rock n roll and country era, its natural that he sings like he has always sung. And he sounds even better now I might say. I dont use any old echoes etc., but I have a nice pedal set from Mooer and theres a realistic tape echo. And when its good for these guys, its good for me! mwe3: The vocal tracks with Rock Jerry singing feature a mix of 1950s and 60s rock and roll classics along with an equal mix of Shadows style instrumentals. Tell us about the original instrumentals featured on the Arcada Studios CD and your Sibelius tribute, which humorously called Tribute To Sibbe. Which music of Sibelius do you like best? I actually visited the famous Finlandia Hall in Helsinki a long time ago. Peter Ekman: The tribute to Sibbe was just a crazy idea we came up with and Finlandia is a very beautiful composition, which could be played on guitar so we decided to give it a try. The rest of the instrumentals were chosen according trial and error. Our keyboardist Esa is related to Sibelius via his mother, which gives this a special touch. Erkki Sutela: Tribute To Sibbe is a nice song and Ive played that intro for fun sometimes at home. I like Finlandia, but Im not so much keen on classical music. Maybe just those most popular ones, if you can say that about classical music. One of my favorites on that album is Esa Helasvuos song Kesän Maku (translation: A Taste Of Summer), which he originally wrote back in mid 1970s for a Finnish movie and it was originally sung by Pepe Willberg. Kärleken Är (translation: Love Is) is a song from a Swedish singer Jill Johnson. Peter told us that it could be a nice instrumental to play, we tried it and like they say the rest is history. Cavatina is so beautiful song and when we have a great version of that it was clear to put in our album. mwe3: Its amazing that The Sounds have been playing with members of the entire original band since 1963. How many albums and singles did the Sounds record in the early version of the band and over the years and why did you stop recording at some point? I was 9 years old in 1963 and I still remember a lot from that year including all the great songs. Peter Ekman: The Sounds took a pause in 1965 as the members went back to school and started to study. 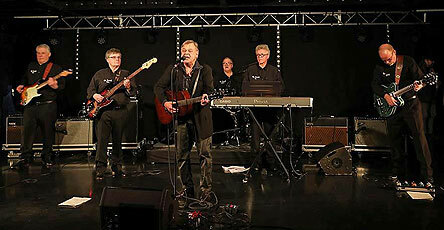 We started to play again after a pause of 45 years, when three of the four original members rejoined. The original lead guitarist Henrik Granö left the group on spring 2014 and was replaced by Erkki Sutela. We recorded in 19631965, about ten singles and one LP. Because of the long break, no recordings were made until the Arcada CD. It was about 50 years between the last recording in 1965 and the Arcada CD. Erkki Sutela: Im so proud to be a part of this great legacy of the Sounds today! Ive been playing guitar for over 40 years, in different groups - blues, rock and most of all the 1960s guitar music. I started as a bass player in a group called The Diamonds, with few older guys in early 1980s. Yeah, older! They were something like 40-years and I was 23! And now Im 56 and Rock Jerry is 74! The Diamonds made just one record, first on cassette, but in 2004 guitar music fans asked the record company to release it in CD and so they did. The Dance On album can be found also in Spotify. After that bass playing, I moved back to guitar and have played that ever since. I try to do my very best to get that original sound of the 1960s. Everybody plays in their own style, but my playing is a mix of everything Ive learned during the years and of course a homage to the great Henrik Henkka Granö. This a great combination, because Ive been playing as long as those guys have been on hiatus! I have to raise my hat to those guys for their enthusiastic way of making music nowadays. We have a cozy place to play at the house where Peter and Bobi live and have been living for decades. Its the old boiler room, which is not in use anymore. Our instrument and amp set is there ready to play. So we meet once week playing and having fun, drinking coffee and talking nonsense as guys do. The Sounds used to have another place to practice in that same building in the early 1960s and Bobi has said here we are just 50 meters away from that original rehearsal place, so the band hasnt moved forward during the 50 years! He is a great humorist. Ive heard stories how they used to play in the dark during the rehearsals so they could really learn all their songs. Thats amazing! We dont play in the dark nowadays, but theres still that same style of practicing our songs. When you know your stuff its easy get on the stage. On the record Henkkas son Wille Granö plays drums, but he quit a while after the record was released, because he has so many other band projects going on. We were lucky to get my friend Jomme Kettunen on drums. He has been playing drums in different groups from the late 1960s. mwe3: Who was a bigger influence on The Sounds musically, The Shadows or The Beatles and can you compare them compositionally? Seems like around 1962 and 63 The Beatles copied some of the early Shadows studio mannerisms. Must have been the Abbey Road sound. What made you pick out the Beatles The Long And Winding Road as an instrumental? Its not really a beat-group kind of track but it sounds great on the CD. we play rock n roll, country and blues in addition to the guitar tunes. Rock Jerry is a vital part of our show and we divide our sets using acoustic guitars, along with the electric ones both in the vocals and the instrumentals. 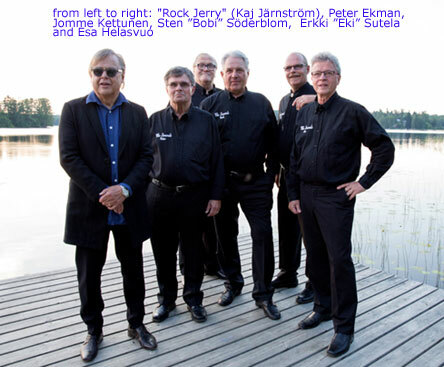 Erkki Sutela: As Peter says The Long And Winding Road is one of the most beautiful songs. We are always trying to find different type of tunes than the other guitar bands. I like The Beatles and The Shadows, but my history with The Shadows is a bit funny, because when I joined The Diamonds, the only Shadows album which I was heard was String Of Hits, so the guys made me listen their early recordings and then it all started to make sense to me. The Beatles and The Shadows have both made great songs, but its hard to say which are better. Good music is good music. The Sounds has always been a bit rebellious about their choice of music. For example Emma was an old waltz from the war time and made many old people angry the time it was released. Now we have songs like Life On Mars, God Only Knows and Procol Harums Homburg in our set list. We havent heard any other guitar band performing those songs. mwe3: How has the choice of guitars changed for you since 1963? You must have seen a lot of changes in the guitar world over the years and what are your favorite amps? Peter Ekman: We mainly use Fender guitars and amplifiers. We have Stratocaster guitars and a Jazz Bass. For the acoustic parts we have a Martin. The amplifiers we use are a Twin amp, a Rivera and two Rumble bass amps. 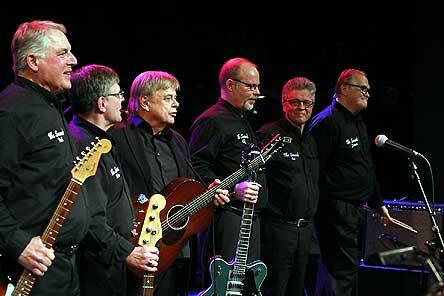 Erkki uses a Gretsch guitar in the vocal songs because we want to get another sound than we do in the instrumentals. 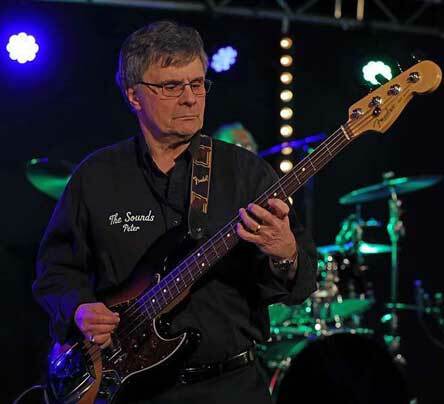 Erkki Sutela: Fender Stratocaster is the guitar for this kind of music. That Gretsch, which I use during the Rock Jerrys songs, was just accidentally bought. It was hanging on a music store. Nice green color, good sound and price was right, so welcome to Daddy! That happened just a few months before Ive got invited to replace Henkka Granö... talking about miracles. I also play a Fender Sonor acoustic guitar. And the reason I bought it was the Fender brand and of course the Lake Placid Blue color. Maybe the nice acoustic sound played a small part as well, (lol). mwe3: You mention Sibelius but how about the late Pekka Pohjola and other rock era Finnish and Swedish guitar groups and composers that you were influenced by? What is the quintessential Finnish musical sound in your opinion? Does it come from early 1960s Scandinavian guitar instrumentals, from jazz-rock, from classical music or from folklore music like Kantele? Peter Ekman: I personally had very little to do with music during our 45 year break so I cannot give you a proper answer here. 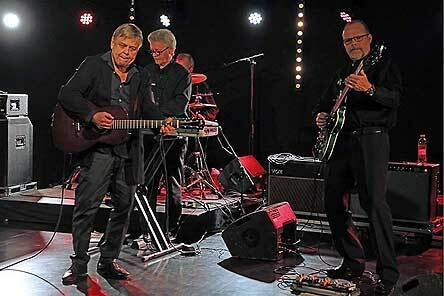 The guitar music in Sweden transformed into s.c. dance-band-music. In Finland we traditionally love music in minor keys. We have a very high class education in music today in Finland. I think that the musicians today are influenced by all the music they get in touch with. In the end it all is a matter of taste, some guys like the daughter and some the mother. Erkki Sutela: Traditional Finnish musical sound is basically full of sorrow and makes you want to cry. I like more happy songs. When you are down and out it doesnt help you in anyway if you listen a singer who tells you the same story. Blues is a different thing, but that Finnish melancholy stuff is just pain in my ears. Pardon and excuse me, but thats how I feel. My musical influence is a mixed with various styles, artists and bands. Lucky for me there was a lot of different types of music at my childhood home. My father used to listen musicals, movie theme albums, jazz, classical and most of all, different kinds of instrumental albums like those Herb Albert and the Tijuana Brass made. Everything was gogo music during the 1960s at our home. My older brother listened to bands like Led Zeppelin, Deep Purple, King Crimson and Blue Oyster Cult. I listened those and, thanks to my dear brother, now I like Pekka Pohjola, Wigwam, Tasavallan Presidentti and other progressive bands he also played to me. When you add some of my other favorites like Toto and Dire Straits with those already mentioned, we find the musicians who made me who I am today. mwe3: The Sounds + Rock Jerry CD closes out with a cover of Blue Sky Blue Sea Blue Me. Thats a Shadows rarity from Sound Of The Shadows. Is that your favorite Shadows album and what Shadows period do you like best? What other Shadows covers do The Sounds play? Peter Ekman: Blue Sky Blue Sea Blue Me was chosen because we thought it is a nice tune and The Shadows version was not optimal. Over the years we have played almost all the old Shadows tunes. I cannot name any special favorites but the first LP sparked my interest in guitar music so, perhaps Shadoogie, Nivram, Blue Star and Sleepwalk should be mentioned. Erkki Sutela: I have that album with Blue Sky Blue Sea Blue Me and I like it very much. The Shadows didnt play it live and its so rarely heard so it was a good choice for our album. We play also Atlantis, Wonderful Land, Shindig and The Rise And Fall Of Flingel Bunt and almost all of those go well with our acoustic set too. Sleepwalk is fun to play, because Esa has a great piano intro before the band joins in. My opinion is that The Shadows were at their best during the early 1960s. mwe3: What do you think about the current guitar instrumental scene in Finland and Scandinavia in general? Is there a worldwide guitar instrumental sound and with so many early rock giants leaving us every day, which of the early rock n roll pioneers had the most influence on you and The Sounds? I enjoyed your Arcada Studios cover of No Particular Place To Go. Its so sad to lose Chuck Berry. Peter Ekman: We have a number of guitar bands here but sadly most of the musicians are getting old. The audience wants mainly songs and not instrumentals today. The guitar sound is not what it has been and I do not think that there is one special sound to mention. Everyone tries to make his own sound just to differ from the masses. those are my favorites and all time rock n roll pioneers. I envy Peter, Bobi and these other guys in our band, because theyve been there, when this all started. I cant imagine that moment when they heard those legends the first time! 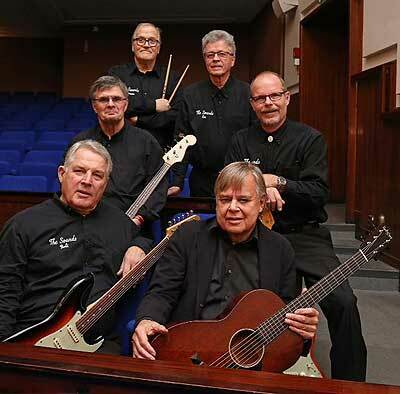 The guitar music era, Rautalanka as they call it here in Finland, lasted only about three years, but it still made its mark and it has been popular ever since. Old bands keep coming back, the veteran bands are still playing and as Bobi has said it was easy to make a comeback, because those songs they played in the early days never went out of style. 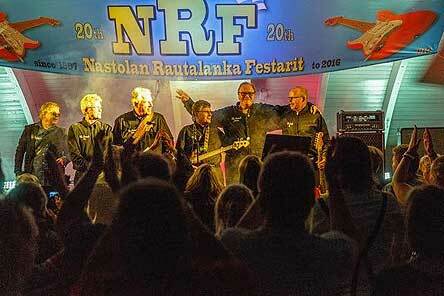 There are many different guitar music festivals and associations keeping guitar music alive in Finland. mwe3: Now that the band released the Sounds And Rock Jerry album, are there other plans for new music writing, recording, possible compilations and live shows for 2017 and beyond? Peter Ekman: We have no firm plans for a new record but it is in the air. I think it will be a single or an EP. It depends on what we will come up with. We are constantly taking on new songs, both instrumentals and vocals. We have booked live shows till the end of this year and we are planning different sets for most of the gigs. A novelty for us will be an appearance in the famous Rock Church in Helsinki in the beginning of June. We look forward to this. Erkki Sutela: Yes, like Peter says, we have plans but we arent in any hurry. We just play and practice new songs and then see what happens. Many great gigs are coming up during this year. That church concert is one of the highlights. The guys couldnt make the trip to Japan in 1960s, because they were so young and their parents wouldnt let them go, but now it would be possible to go there. So, Japan we are ready for you!